By funding the American Legislative Exchange Council (ALEC), eBay is supporting an organization that has worked to disenfranchise African Americans, Latinos, students, the elderly, the disabled, and the poor. We wrote eBay to let them know that more than 100,000 ColorOfChange members have asked that they disassociate themselves from ALEC. After hearing that information, Walgreens, General Motors, Wal-Mart, MillerCoors and other major corporations decided to end their relationship with ALEC. But despite numerous emails and telephone calls, we can't get eBay's management to get back in touch with us. It appears they believe that if they ignore us we'll simply go away. Will you help us hold eBay accountable for supporting voter suppression? 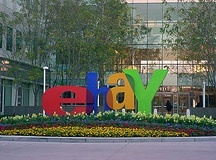 Please make a phone call to eBay and demand that they stop supporting ALEC. Please complete step 1 first.